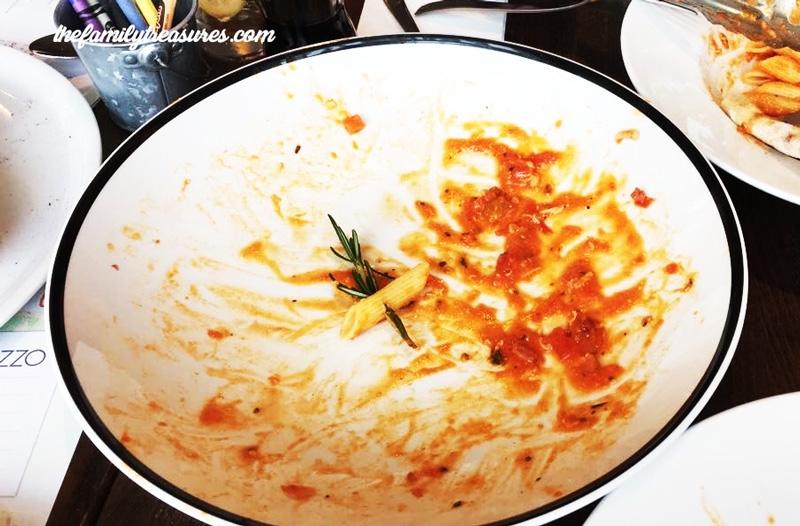 OK, yeah, that’s a bit too dramatic, but last Friday we had a really good time being able to try the new #PrezzoLaFamiglia dishes. Basically, you’ve got 4 options to choose from: Penne Arrabiata, Spaghetti Bolognese, Spaghetti Carbonara or Penne Alla Rusticana. I always like to try new things but every time I do my expectations are not met. 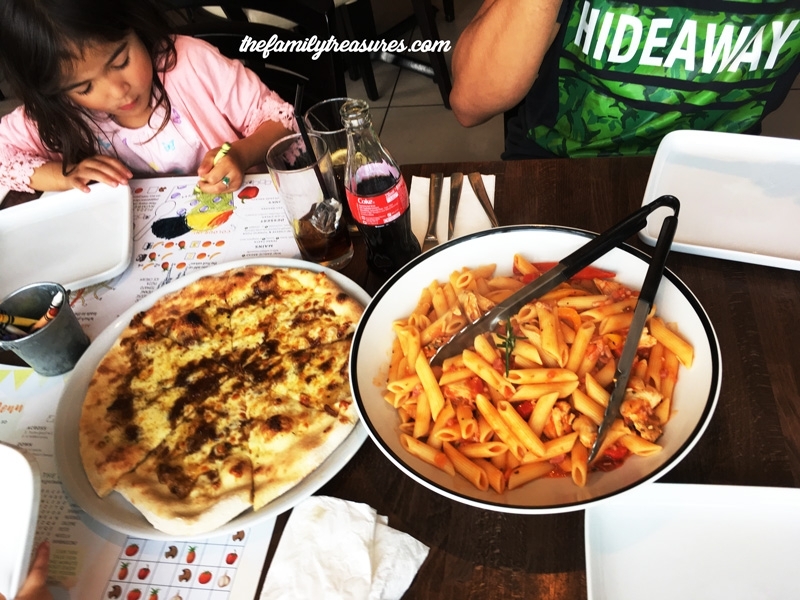 So on this occasion, we thought we would go for a safe option, especially since we were with the kids, and choose a Bolognese or a Carbonara. But then we decided to check with the waitress, who we must say was very friendly throughout the whole night, and asked for the Rusticana. We hadn’t tried that one before. 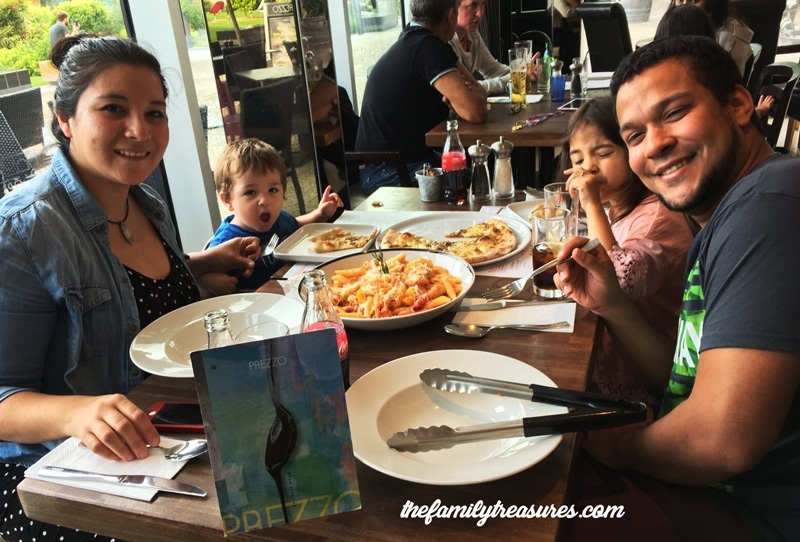 It worked out really well cause choosing a kids meal for each one of our children is usually a waste of money, and making them share one sometimes it doesn’t fit right; so with #PrezzoLaFamiglia we were able to fill us up, grown-ups and little ones. For a second I thought we would all make a mess sharing 1 big bowl of pasta but luckily for us, only our 1-year-old was responsible for any food waste. 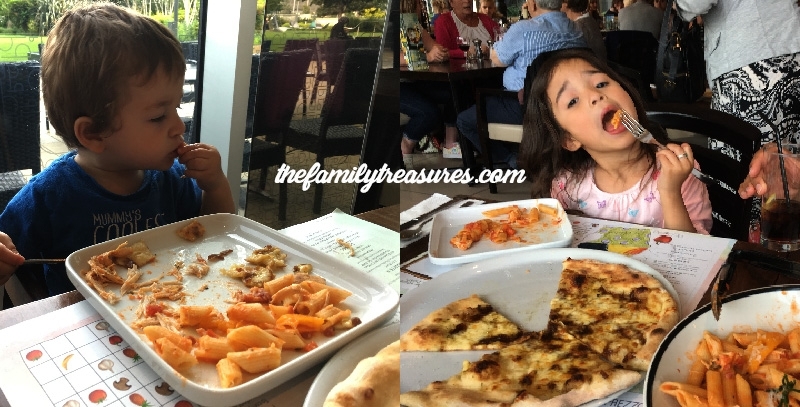 We love when you can eat out with the kids at a pleasantly and child-friendly environment. 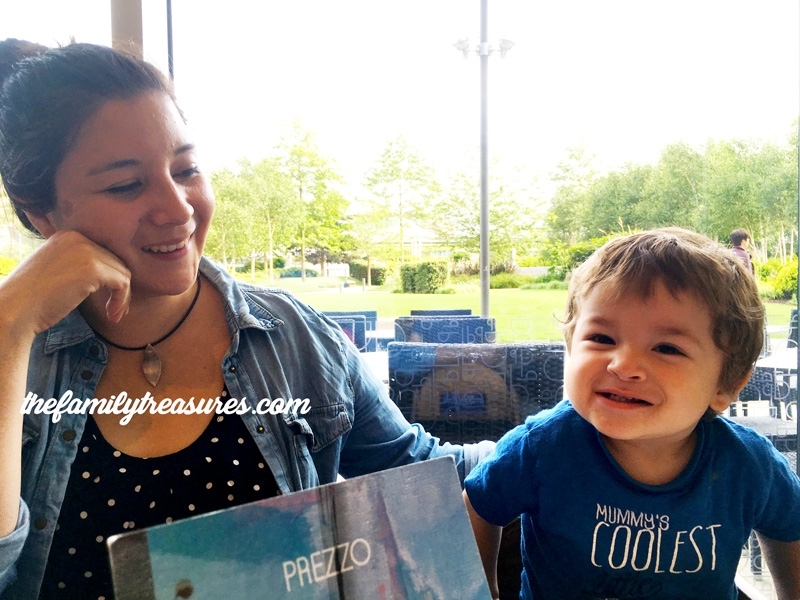 We’re happy we visited the Prezzo Restaurant at Manchester Media City. Right just outside the restaurant area, you’ve got those lovely views and gardens where our little ones had a lovely time running up and down, burning that big bowl of pasta. And obviously, us, chasing them after, burning a few calories too.